SOFTwPRE SHOULD &c EHHSYTO U5E! Acoustica Inc. has just released their new simple to use digital photo archiving program - Photos Forever. Photos Forever has a user friendly interface that is so simple to use, that even the most inexperienced digital camera user will be backing up their most precious memories to a CD or DVD within minutes. Photos Forever does all the work for you! It will find your digital image files (JPG, BMP, TIF, PNG and raw formatted photos) ?wherever they may be on your computer, prepare them for backup, tell you how many CDs or DVDs you' 11 need and then proceed to burn them! After each disc is done, a sound chimes to let you know it's ready for the next one. After the discs are created, it will even print out a convenient 'Key' list so that you can reference what picture is on which disc. What could be easier? Come and Experience Sunny South Florida and Escape Winter to the U.S. Premier Florida Dive Show at the Palm Beach County Convention Center this December 2-4th, 2005. This is the first and hopefully the largest Florida consumer SCUBA dive show all under one roof. 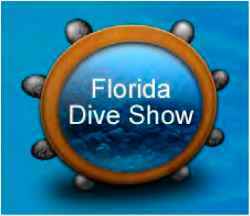 With room for over 250 exhibitors in a 50,000 square foot hall, the Florida Dive Show will include equipment demonstrations, travel seminars, technical conferences and much, much more. The cost of the trip is $1750 and includes 10 nights in an air conditioned room, double occupancy, 3 meals per day, 27 dives and transfers to and from the Manado airport. 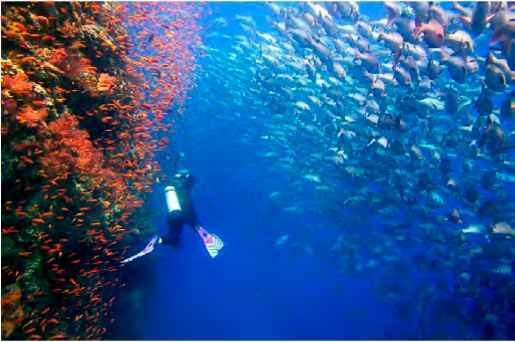 They offer 2 morning dives, one at 2:30 and a night dive daily. Also free of charge is a house reef dive (non-guided) per day. 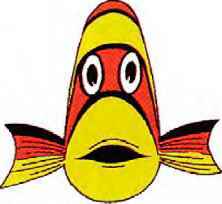 Any additional dives beyond the 27 will only be $27 per dive. Airfares to be purchased on your own or ULCS are working with a travel agent for special airfares. Let them know if you need air. You need to be in Manado on Oct. 28th and will be leaving Manado Nov. 7th. A night over in the Singapore transit hotel each way will be needed unless they fly the non-stop. Rates at this hotel are about $40 for a block of 6 hours. Nice way to catch up on sleep before diving. Deposit $200, with balance due July 1st. E-mail [email protected] with any questions, deposits being taken now. Alex Mustard exploring Ras Moliamed last summer. Photo by Peter Rowlands. This is a first announcement of our intention to run an advanced digital photography workshop on a North Red Sea liveaboard in early July 2006. Alex Mustard will be leading the trip including giving a series of evening talks on the techniques of digital photography. 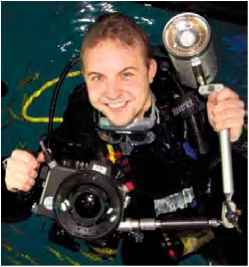 Peter Rowlands will also be on board bringing a variety of underwater photography equipment from UWP sponsors for everyone to try. The main aim of this trip will be to provide the best photographer orientated diving (unguided, often repeating the same sites) on the famous wrecks and spectacular reefs of the North Red Sea. The trip is timed to coincide with the large spawning schools of fish that gather at prominent sites such as Ras Mohamed. We hope that photographers from both North American and Europe will join us and we will offer both London to London and boat only packages. If you are interested in finding out more about this special trip then please email us at [email protected]. We would also like to know if you would prefer a one or two week trip. 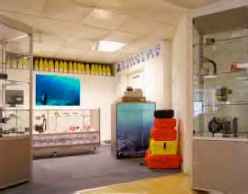 The London Aquarium is hosting an exhibition of underwater photography by Linda Pitkin. This exhibition will feature a selection of her stunning images of marine animals and scenes from tropical and temperate waters around the world. Her photography features widely in many media, ranging from books, magazines, and national newspapers, to uses in advertising, and in an IMAX multi-screen presentation. In conjunction with her exhibition, which marks 25 years of her diving and underwater photography, Linda Pitkin is offering editions of her photographs for sale as Fine Art Prints. Her profits have been donated to the Tsunami Earthquake Appeal up to the beginning of April, and from then onwards will go to another environmental or humanitarian charity. The prints are made by the Giclée method, renowned for producing works of superior quality, intensity of colour, and longevity, using fine art paper and archival pigment inks. For this, Linda is delighted to have enlisted the superb skills of Dennis Firminger. Digideep are very happy to announce that their technical administrator Lars Kirchhoff scored 4th and 2nd place in category E 'Beginner Digital' during the Middle-German Championship in underwater photography. He was awarded the title of 'Middle-German Champion' in this category. The competition is considered as preliminary decision fort the prestigious Camera Louis Boutan Competition. In 2005 the Camera Louis Boutan is going to celebrate its 27th anniversary. Colleagues, we are offering a course in scientific photography at the Bermuda Biological Station in St. George's Bermuda. This three week course will run July 31 - August 20 in 2005 and is open to the public including divers, scientists, teachers and students 18 and over. 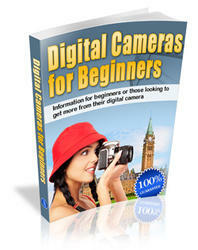 The course starts with the basics and advances to Underwater Photography and Videography. Past students are publishing their images in natural history magazines, using them in their research programs, publishing them in scientific papers and using them in education and outreach projects. The BBSR is an ideal location for this course. As a mid-Atlantic island, Bermuda has many unique animals and plants. Bermuda's marine ecosystems include anchialine ponds, rocky shores with limestone formations, sea grass beds, mangrove forests, caves and coral reefs which are in excellent condition. The course is taught in an environment where there is always a lot of interesting research going on. There are approximately 5-6 spots still left. The 32nd World Festival of Underwater Pictures will take place from October 27 -30 2005 at the Convention Centre of Juan-les-Pins in France. The theme will be " The Abyss" and the President of Honour will be Sylvia EARLE, Executive Director, Global Marine Program, Conservation International, Washington DC USA. Stand reservations should be made as soon as possible, as the total space available is limited. Join Stuart & Michele for a photography workshop. This adventure will give you the opportunity to hone your shutter bug skills at a luxury land based resort and a fantastic live aboard dive boat. The absolute best of both worlds. Your adventure includes 11 nights at Tawali resort and 2 nights aboard the live aboard Chertan. Stuart and Michele are a photographic team residing in Mill Creek, WA. With a combined experience of 30 years, they travel the globe capturing exceptional images of the fascinating underwater world. They also are specialists in the more terrestrial parts of the world photographing wildlife, travel destinations and people. Both Stuart and Michele have had their images and stories appear in some of the most highly recognized publications such as Outside, National Geographic Traveler and Adventure, Islands, Nature's Best and many more. They are regularly published in the largest dive magazines such as Sport Diver, Sport Diving, Fathoms and other international dive publications. Sharpen your underwater photography skills and learn the latest in digital imaging at the fourth annual Digital Shootout, July 23-30th at the Divi Flamingo Beach Resort in Bonaire. Far beyond a standard photo safari, the Digital Shootout is an in-depth learning experience on underwater digital photography that offers hands-on photo workshops, seminars on Adobe Photoshop, free use of demo gear, professional critiques and a photo contest with great prizes. Berkley White owner of Backscatter Underwater Video and Photo, Dan Baldocchi of Light & Motion, professional underwater photographer Jim Watt, and Eric Cheng of Wetpixel will be your team of experts for the week. If you have never taken an underwater photo come give it a try at our Digital Demo Day. We are offering free use of our equipment to those who need it. In addition to the instructional seminars the Digital Shootout ends with a photography contest that includes some major prizes for the best images taken during week. There are prizes from Light & Motion, Backscatter, Nikon, Adobe, Sea & Sea, Kararu Dive Voyages, Lexar Media, Ultralight, Aqualung, Oceanic, and more. Don't miss this opportunity to shave years off the learning curve while blowing bubbles in paradise.